Sleeping Bear Press, 9781585363797, 32pp. When a mysterious stranger carrying a bag of seeds comes to town, magical things start to happen. 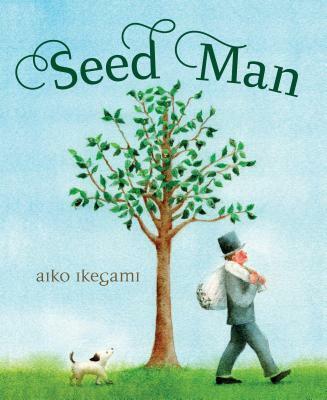 After Seed Man plants the seeds, a wonderful tree grows, bearing special "fruit" such as toys, musical instruments, and even a puppy With assistance from some helpful fairies, Seed Man's gifts are delivered all over town. Each gift perfectly suited to its recipient. And even if someone didn't know they needed a special gift, Seed Man and the fairies knew. But not all the gifts are welcome at first, especially to someone whose heart has been broken.